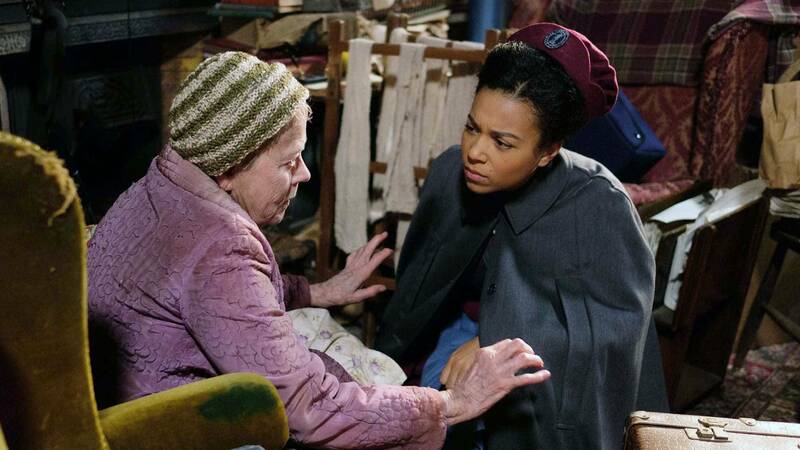 We’re only three episodes in and Poplar has not been kind to our beloved midwives. They’ve already gone through the hardship of a patient death, worked through a snowstorm and watched as newcomer Lucille was exposed to racism in the community. These ladies are literally living in strug city and are in dire need of a vacation — or at least a girls’ night out. 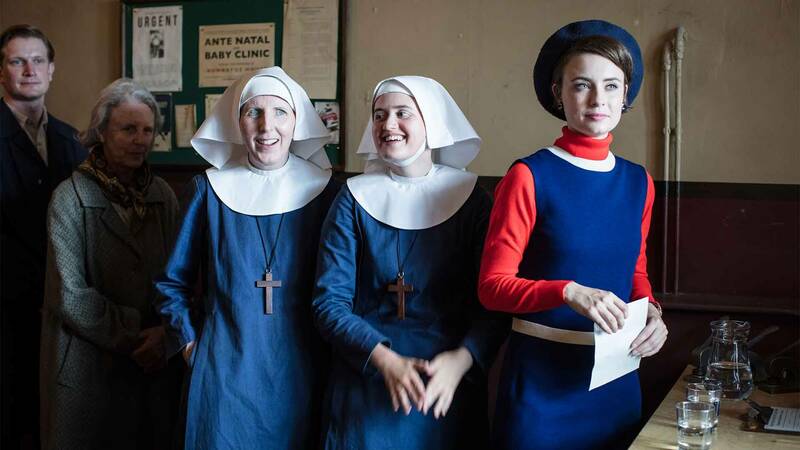 But as we all know, Poplar can’t stop, won’t stop, and while things have calmed down for Lucille, who has slowly but steadily found her place in the house, the rest of our midwives are in for a bumpy ride. So buckle up, y’all, and let’s get down to business. 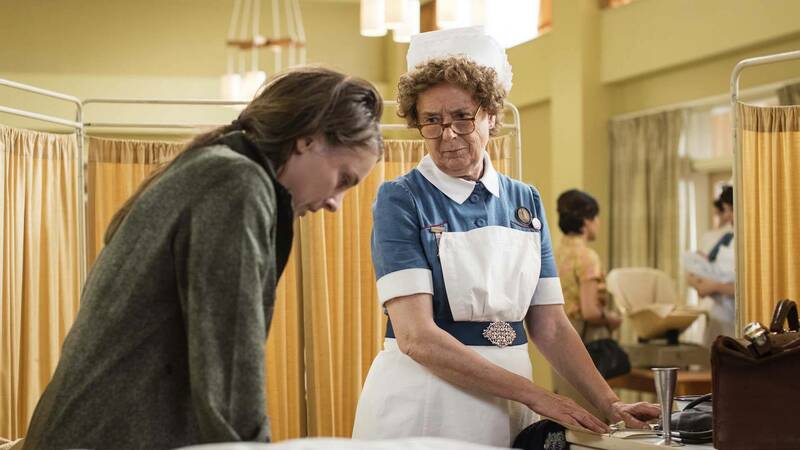 This episode, the midwives take a special interest in the Lunt family when expectant mother Doreen Lunt comes under the care of Nurse Crane. 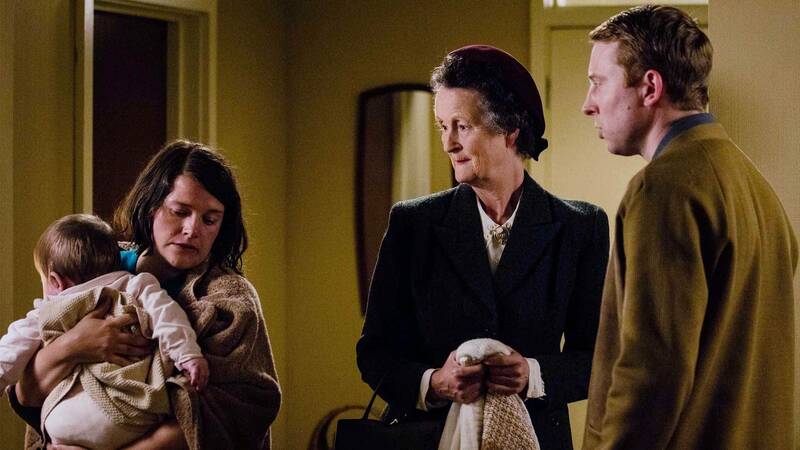 Suspicion of the family’s unstable home life grows amongst the midwives after Nurse Crane has an uncomfortable interaction with Doreen’s husband Gordon and Sister Winifred meets their daughter Wendy, who is badly bruised and exhibits trouble with her day-to-day mobility. Displaying even more unusual behavior, Doreen later disappears from an appointment at the clinic, leaving her children behind. The midwives come to the conclusion that they might be witnessing familial abuse and Trixie offers to bring Kevin and Wendy home to Nancy Drew the situation. She finds Doreen safe and asleep in her bed, but as she pushes Gordon for answers she realizes he’s merely protecting his wife in fear of her being taken to a mental facility. He confesses that Doreen’s emotional and mental state have been deteriorating for some time. Vowing to do everything she can to help them, Trixie convinces Gordon to bring Doreen in for a checkup with Dr. Turner. Good news: Fred and Violet Buckle go unscathed this episode. Bad news: That’s all you get this week. As Trixie and Dr. Turner get to the bottom of Doreen’s problem, the Buckles have brought a bit of family friend fun to the area with the first ever Miss Poplar 1963 beauty contest. Pageant planning is swiftly under way, and Magda and Valerie volunteer to be contestants together. New to the country as the Turner family’s au pair, Magda soon finds companionship in Valerie. She visits Nonnatus House to have her dress tailored for the contest’s “Homemade Dress” category, and stumbles upon her new pal sneaking sweets in the kitchen. Valerie admits she keeps a secret box of chocolates in a fridge full of medical supplies and offers Magda a piece — a sign of true friendship. Later, Doreen has her appointment with Dr. Turner, and the news is grim for the already troubled family. He believes that Doreen is suffering from a neurological issue and refers her to Neurologist Dr. Atherton for further evaluation. Passed on from her father, Doreen is diagnosed with Huntington’s chorea (now known as Huntington’s disease), a disease that impacts her movements and cognition. Dr. Turner warns the couple that Doreen’s condition will progress and that Wendy, who has already displayed symptoms of the genetic disorder, should also be checked. When her results also come back positive for the disorder, Dr. Turner and Trixie offer their support for the rest of the family’s journey. As bad news at the doctor’s office becomes a major theme this week, Magda too receives an unwelcome surprise. During a visit with Dr. Eastwell at the Women’s Advice Clinic, a pelvic exam reveals that she’s pregnant. Admitting that she has no family nearby and that she had lied about having a fiancé to get contraception, she asks what she can do to obtain an abortion. She’s distraught when she learns that abortion isn’t legal in England and, at at a loss, confides in Valerie after her appointment. She asks Valerie where she can go for a procedure, but Valerie, as the medical professional she is, pleads with her to stay away from any underground facilities, warning Magda of the dangers. Prepare yourself. This series of unfortunate events continues as Trixie and Christopher find themselves fighting battles of their own. Christopher’s turbulent relationship with his ex-wife endures and he explains to Trixie that a psychiatrist has recommended a new routine to prevent Alexandra from feeling alienated at school due to her parents’ divorce. He goes on to say that Alexandra should only see Trixie if it’s on her own terms. Christopher reassures Trixie that Alexandra cares for her, but she remains skeptical of this new family dynamic. At the Lunt residence, everything is in shambles. With Gordon working long hours, he’s unable to help Doreen with childcare as her illness worsens. Unable to do more to help the family, especially with a newborn and Wendy’s diagnoses, Dr. Turner advises putting Kevin and the baby into foster care and recommends moving Wendy into a residential home for children. Stepping out of his role as a doctor and into his role as a father, Dr. Turner tearfully assures Gordon that there was nothing that he could’ve done to prevent this from happening. We’re not sure the kind words help here, but we appreciate the effort. After her serious discussion with Valerie, Magda takes matters into her own hands. 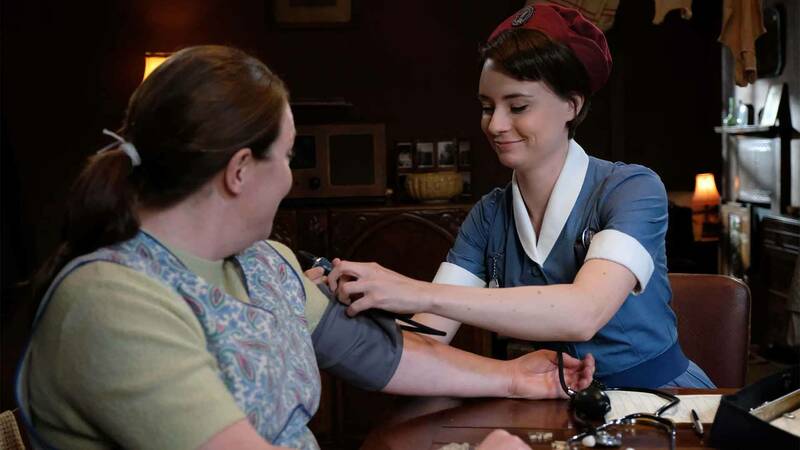 Through not-so-thorough research after reading one of Shelagh’s medical books, she discovers that the medication Ergometrine makes the uterine muscle contract and steals a bottle of pills from Dr. Turner’s medical bag. Feeling that this is not enough to resolve the issue, she later sneaks away from the beauty pageant and off to Nonnatus House in search of the liquid Ergometrine stored in the medical supply fridge next to Valerie's secret sweets. In the act of leaving Nonnatus House, she runs into Sister Monica Joan. Concerned about her rushed exit, Sister Monica Joan follows her outside and sees that Magda has sought shelter during her overdose in the garden nearby. This week’s hero, she alerts Shelagh and Valerie who have been otherwise occupied with Miss Poplar 1963. They find her conscious but quite sickly and call an ambulance. On the day of Wendy’s move, Trixie arrives at the Lunts’ flat to accompany her to the residential home. Gordon says his final goodbye, but Wendy is discouraged when Doreen does little to acknowledge that she’ll be leaving their home forever. Trixie and Wendy depart, but before getting too far, Doreen stops them to give Wendy her scarf and to remind her she loves her. 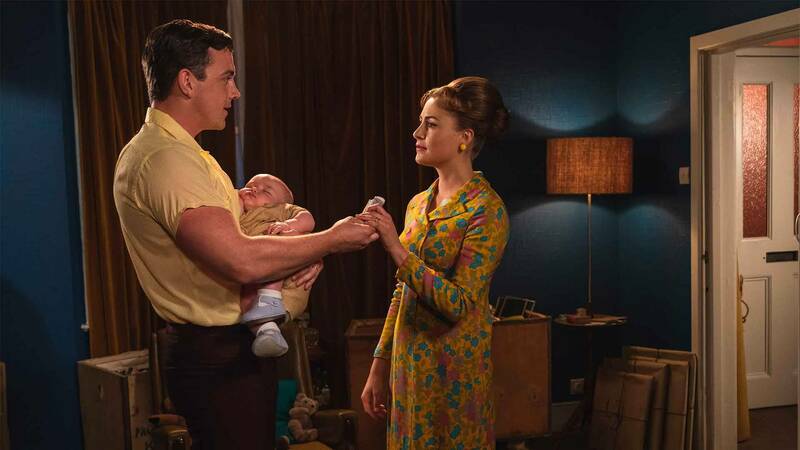 After witnessing firsthand the heartbreak of a child being torn away from her parents, and Gordon’s struggle to keep his family together, Trixie reflects on her relationship with Christopher and Alexandra. She meets Christopher in the Nonnatus House garden, which appears to be a place of bad juju for everyone this episode, and ultimately concludes that they need to break up so Alexandra can live her best life, free of any drama and future emotional distress. Christopher fights for her but Trixie has made up her mind. If there’s any silver lining here, it’s that Magda survives, but honestly, we’ve already been so emotionally scarred that we’re past the point of redemption. She exchanges farewells with the Turner family as she sets off for Paris, where she plans to train as a nurse. If you were hoping for a happy conclusion, we can’t give it to you — sorry. Although Magda recuperates from the abortion, things go south for Trixie. As most breakups go, Trixie becomes an emotional wreck as she comes to terms with losing the man she loves. Alone with her thoughts, she revisits a dark part of her past and turns to the bottle. Despite a successful run with Alcoholics Anonymous, caught up in her grief she relapses and downs the remainder of a cocktail Magda left in her room. 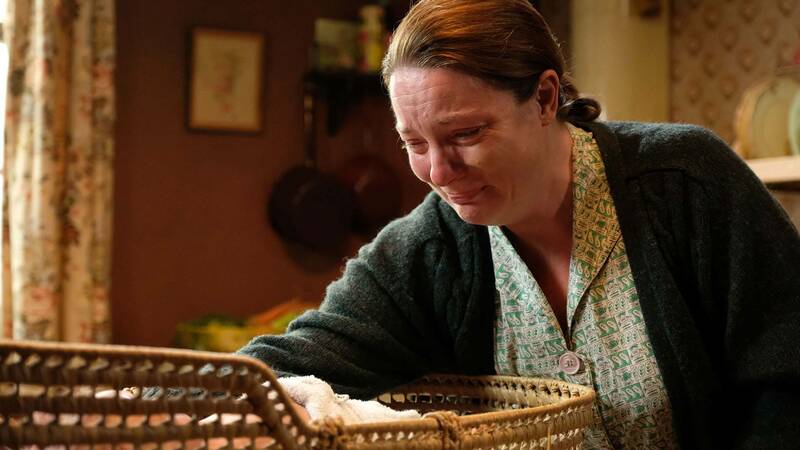 A brutal episode of “Call the Midwife”? We think so. Deborah McBain relates the story of a snowy beginning of a future midwife.